Another difference between those baby days and this snowed-in week, is the fact that the kiddos are older, and therefore, demand a bit more mental stimulation during our hibernation. If we’re being honest, so do I. I’m itching to get out of the house, and that is coming very soon, I’m sure of it. But, in the mean time, we need some serious activities. 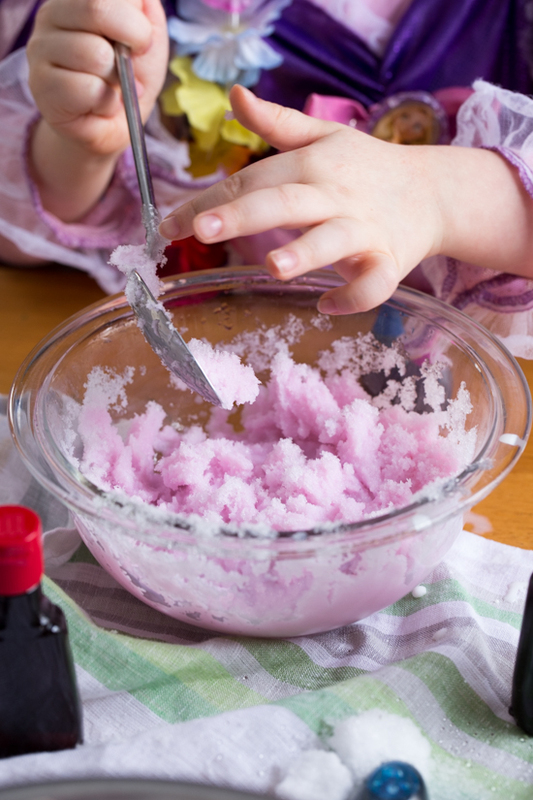 What better activity to do in a blizzard than to make snow ice cream? 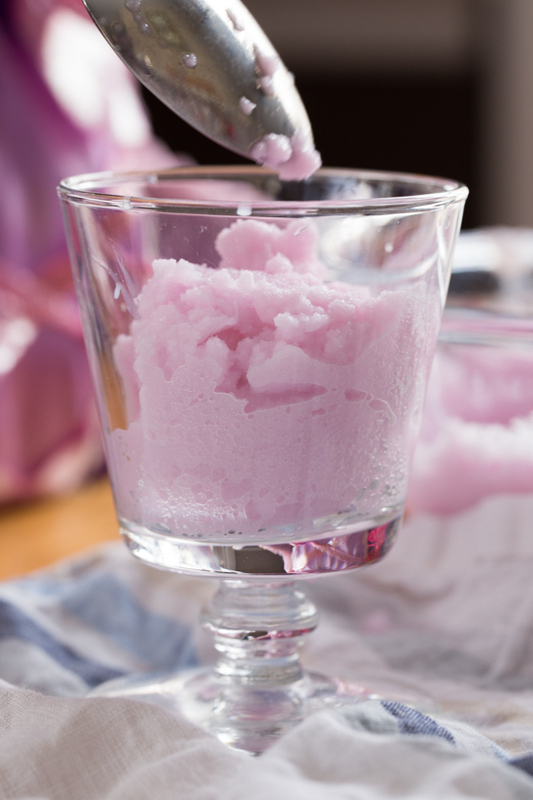 Have you ever made snow ice cream? I honestly never had, but my husband said it was something that he did with his dad all the time as a little guy. My only experience with snow ice cream is the song from ‘Free to Be, You and Me‘ called ‘Glad to Have a Friend Like You’. They sing about scooping snow into the window, putting milk and sugar in it and eating it. Now that we’re on the topics of things we have and haven’t heard of before, have you ever heard of Free to Be? Yes? No? Maybe? Well, I grew up listening to that album, and we still listen to it regularly in the car, so my kiddos were familiar with it, too. It’s from 1972, but trust me, it’s awesome. And a bit hippy-ish, if we’re being totally honest. A couple of weeks ago, I shared my recipe for Peppermint Marshmallows (and made a video – check it out!) in which I used my fun kit of McCormick flavor extracts and colors that they sent me after attending the Mixed Blogging Conference. I thought it would be blast to put some of these flavors and colors to another good use, along with our abundance of snow, and make some snow ice cream! Needless to say, my kiddos were totally on board. We gathered some ingredients (including the essential princess dress and Hawaiian lei, obviously) and got to work. Each of the kids wanted to make their own flavors, so we went made relatively small batches of snow ice cream. After mixing some sugar in with a bit of whole milk, the Baby decided she wanted raspberry ice cream and the Buddy was going to go with lemon (insert yellow snow jokes here). I went in a different direction and made coffee snow ice cream using McCormick’s Pure Coffee Extract (which I obviously love). 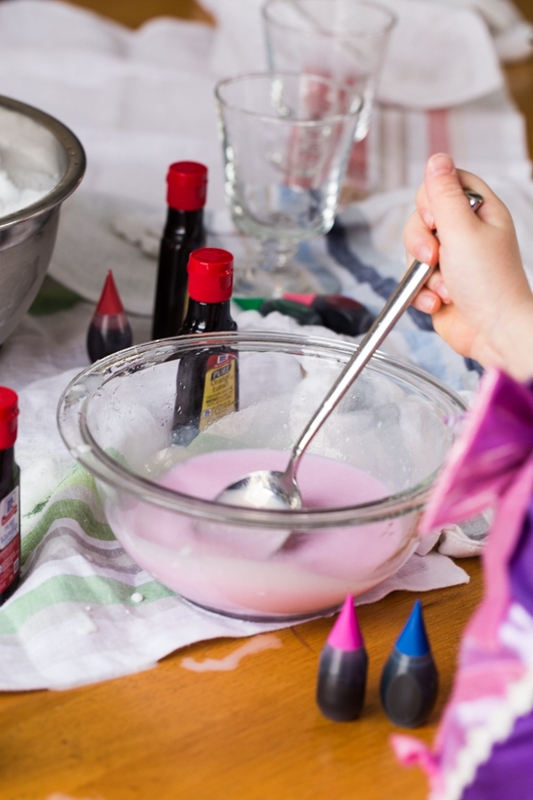 After stirring the flavors and a drop of color in each batch, we were ready for the fun part – adding the snow! If the temps hadn’t been so ridiculously frigid, I would have bundled the kiddos up in their snow suits and had them help me collect the snow – turning one activity into two. But, with the fact that the we were still under a windchill advisory and were experiencing below zero temperatures, I opted for throwing open my sliding door and scooping up some clean snow off our patio and quickly closing it back up. It was fast and no one got frostbite. I was shocked at how quickly the mixture thickened up and how light and creamy it was. Each batch took about 3 cups of snow, maybe a bit more or a bit less – it was a rough measurement. We simply added snow until the ice cream looked like a good consistency. I have to say that I was pretty shocked at how delicious it was! Surprisingly creamy and flavorful, this snow ice cream was just the right combination of activity and sweet treat to help pass the time during our snowed in week at home. Later on, I even made another batch that had a bit of Pure Vanilla extract and Pure Orange extract and it was like eating a creamsicle – crazy tasty! And now (drumroll)….I have a little surprise for you! I’m happy to be able to tell you that the kind and creative folks over at McCormick are offering one lucky – and possibly snowed in – Jelly Toast reader their own collection of flavor extracts and fun food colors, so that they (you!) 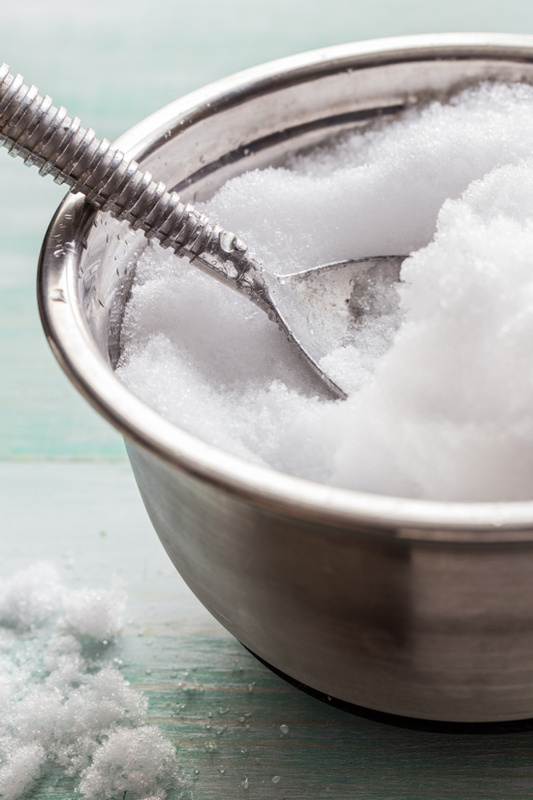 can make your very own batch of snow ice cream! So, if you’re snowed in and looking for something fun and delicious to create, leave a comment below telling me what you and your family’s favorite snow day activity is and you will be entered to win a selection of fabulous McCormick flavor extracts and fun food colors! 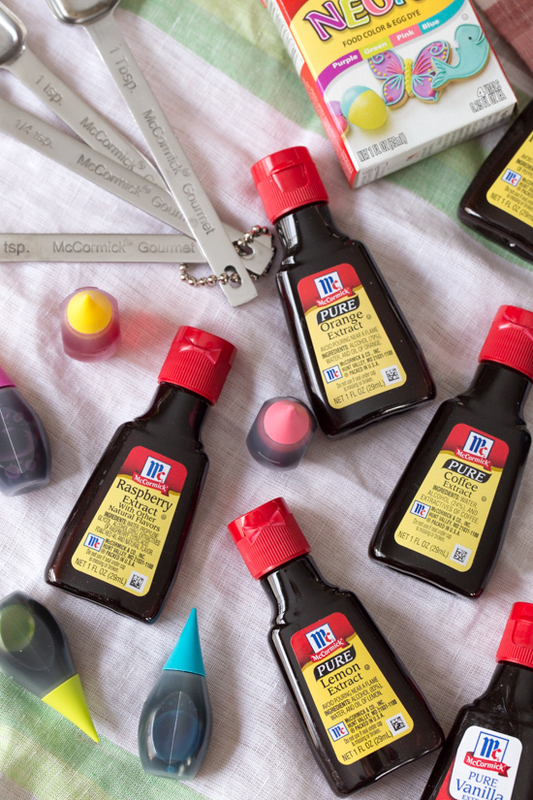 The McCormick Flavor and Color prize pack includes (1) Pure Vanilla Extract, (1) Pure Orange Extract, (1) Pure Lemon Extract, (1) Raspberry Extract, (1) Pure Coffee Extract, (1) Pure Almond Extract, (1) Pure Peppermint Extract, (1) set of Assorted Food Color and (1) set of Neon Food Color. With your own set of flavor and color, you’ll be able to mix and match to create your very own flavor combinations. Go wild, my friends! GIVEAWAY IS CLOSED! THANK YOU TO ALL WHO ENTERED! I WILL BE CONTACTING THE WINNER SHORTLY! I will be drawing one winner to receive one McCormick Flavor and Color Prize Pack. To enter, you must currently reside in the USA. If you have won a prize from Jelly Toast in the last 12 months, you are not eligible to win. Only one entry per person. To enter, leave a comment on this blog post telling me what you and your family’s favorite snow day activity is. When signing in to leave your entry comment, please be sure to enter in your current email address as that is how I will be contacting the winner. The prize will be shipped directly from McCormick. You have until Noon on Monday, January 13, 2014 EST to enter your comment! Winner will be chosen at random and contacted via email. The winner will also be announced here Monday afternoon. Disclosure: This giveaway is sponsored by McCormick. They provided me with product after attending Mixed Conference, and are kind enough to share some with one of my awesome readers! I am not being compensated for this post and all opinions are, as always, my own. Collect snow and place in freezer until ready to use. In a medium bowl, stir together milk and sugar. Add your choice of McCormick extract and food color (if using) and stir to combine. 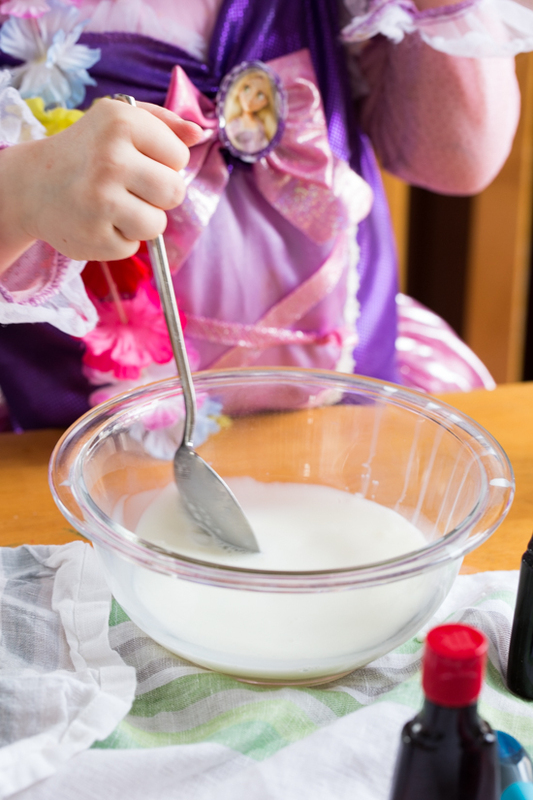 Add snow, 1 cup at a time, stirring until mixture becomes thick and creamy, like ice cream! Spoon into serving dishes and enjoy! My kids would go crazy over something like this! We have not had any snow yet but lots of cold weather. Our favorite thing to do is curl up by the tv and watch movies and drink hot chocolate! We don’t have much snow in East Texas but when we do have some colder weather we stay in and read with a big cup of hot chocolate. Strangely enough, snow cream was our favorite activity. 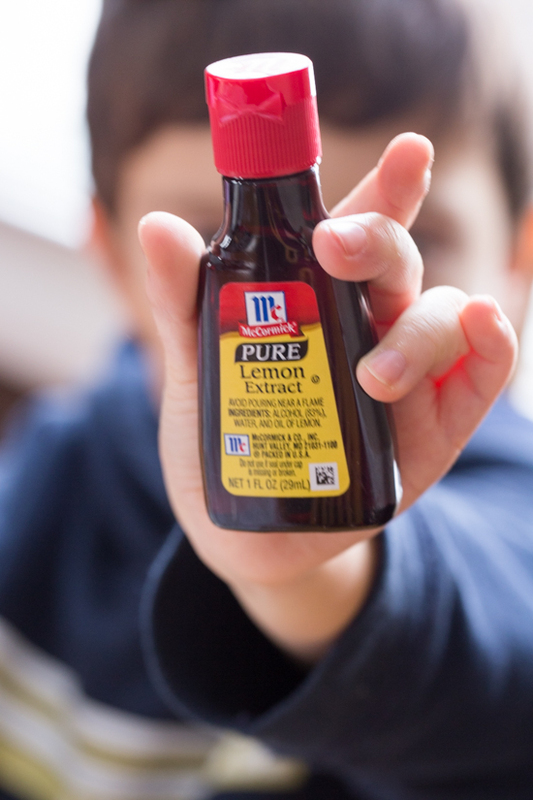 Mom used to make, but it was always vanilla extract and sugar. 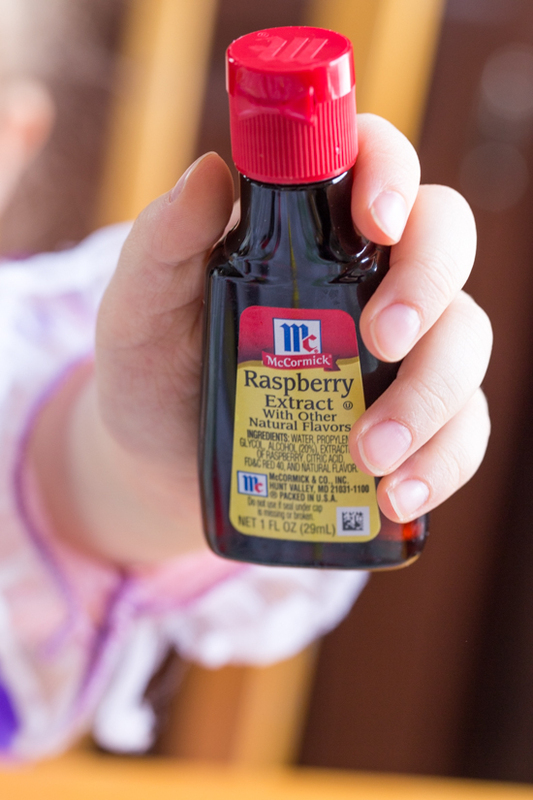 We never used any other extract or flavor combinations. 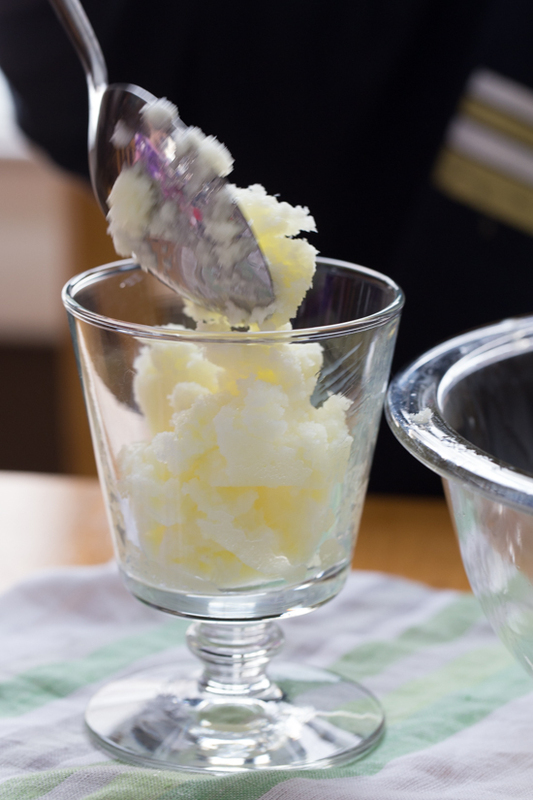 I LOVE how snow cream or snow ice cream is not just our family tradition. Our favorite outside activity is a long walk in the snow! Inside, we love to bake and then sit by the fire with a good book. 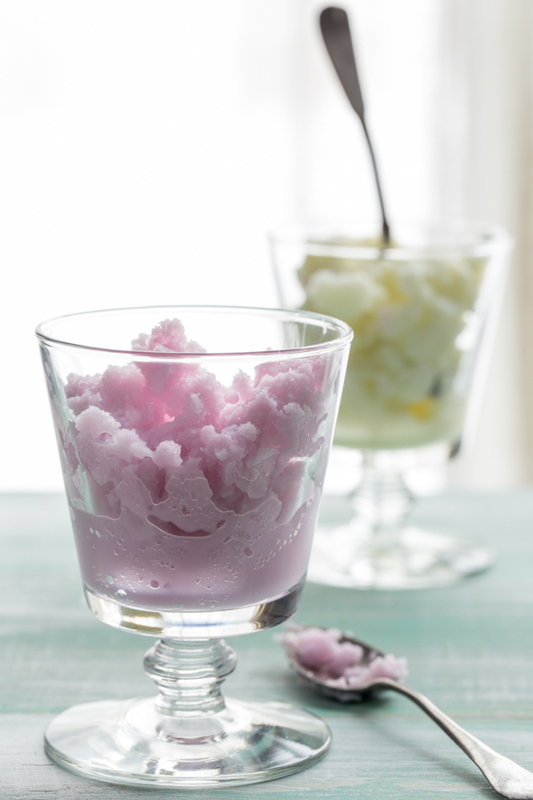 I would love to try this snow ice cream – haven’t made any snow ice cream since I was a child. My family’s favorite snow day activity is to go sledding, then inside for hot cocoa. I love snuggling up with a book! My Family’s Favorite Snow Day Activity Is Baking, We Love To Create Warm Treats To Have With Our Cups Of Hot Chocolate. Looks like you guys had a blast! Love those little hands btw! The kids are too little to be out in the cold but they really enjoyed watching the snow fall from the big window. Ours is to snuggle on the couch with blankets and hot chocolate and watch movies. What a fun giveaway! 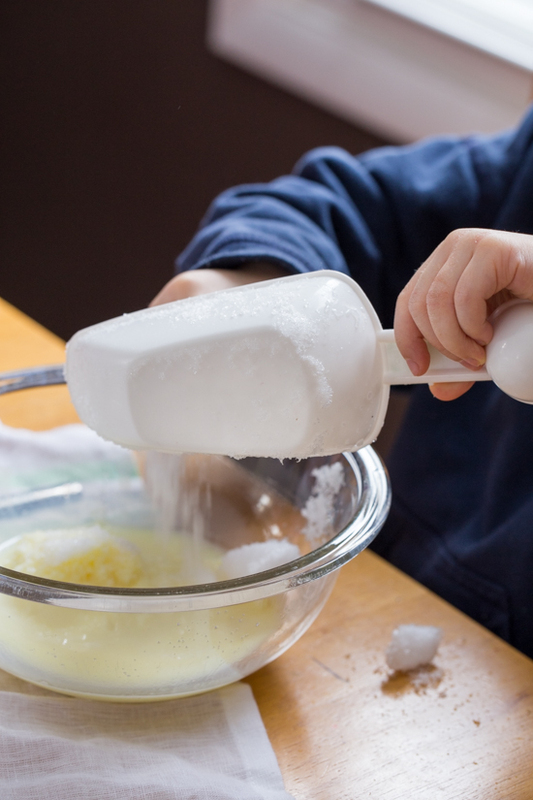 As a child we made snow ice cream, it was delicious! Our dogs love to play in the snow so our favorite snow day pastime is playing fetch in the back yard. There’s nothing like curling up with a good book and a warm blanket when it’s cold out. We love to go sledding then warm up by the fire with hot cocoa. We often go skiing and snowboarding in the Sierra’s in the winter! We alll enjoy those activities. I live in south Louisiana and cannot remember the last time it snowed here. When it does snow, it doesn’t accumulate enough to do much with it (usually melts at his hits the ground). When I was younger we had enough to make a snowman, once or twice, but that was so long ago. I’d love to be able to make a snow angel. i just found your blog and i am in LOVE! we are in the northeast so we get lots and lots of snow and this week was the first time i’ve ever heard of snow ice cream. i would love to win so i can try that coffee extract! thanks for the giveaway! I wish I had seen this when we had our snow days here! What a great, easy idea! I could definitely go for some raspberry snow ice cream! Our snow days involved reading, crafts, and catching up on a few tv shows. My favorite snow day activity is baking cookies 🙂 that snow ice cream recipe looks delicious though I’ll have to try it! I live in Wisconsin now and we have lots of really cold and snowy days I and I love reading a good book while the house fills with the smell of homemade soup cooking. Since there is still a lot of winter left I can’t wait to try this out – what a cute idea! The street I grew up on had a non-paved extension-a steep hill that dead-ended in a field. We used our sleds and flying saucers for hours and hours on end. My favorite activity is playing with my snow blower! It’s more fun than shoveling, and I frequently look like the abominable snowman when it’s a little windy! It’s the one outdoor chore that I volunteer for! We love making a fire and making hot cocoa! Playing in the snow and building snowmen. What a fun idea! We’ll have to try this sometime. Our favorite things to do on snowy days are bake cookies and play board games. The best thing to do after it snows in North Dakota is to go out and clean the snow off the driveway. Actually, I am kidding about it being the best thing. Our favorite thing to do on snow days is go sledding on the hill out front of our house and make snow forts too. Hi! 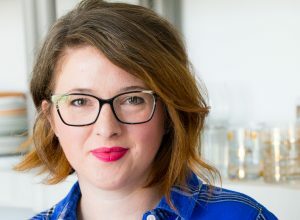 Just found your blog and I could stay forever browsing through your amazing recipes!! We love building snowmen and snowwomen and sledding in our yard on snow days! Thanks for the chance! This sounds like so much fun!! Definitely going onto my “to do” list! Me and my family’s favorite snow day activity is staying inside, building a fire, making hot chocolate, turning the music on and playing board games! We build a snowman or go sledding and of course bake cookies on snow days! Expecting 6 inches tomorrow so expecting another snow day! We love to cook on snow days! I like to bake when I have to stay inside. Great for keeping warm too! Our favorite s own activity is being outside I the snow! The crazy cold temps kept this for. Happening this time, so we did some neat activities including g freezing bubbles, freezing water balloons (with colored water), staying in our Jammie’s all day, and feeding the birds! Love McCormick extracts! I go through a bottle of Vanilla Extract a out as fast a we go through milk! I’ve never made this. it sounds fun! 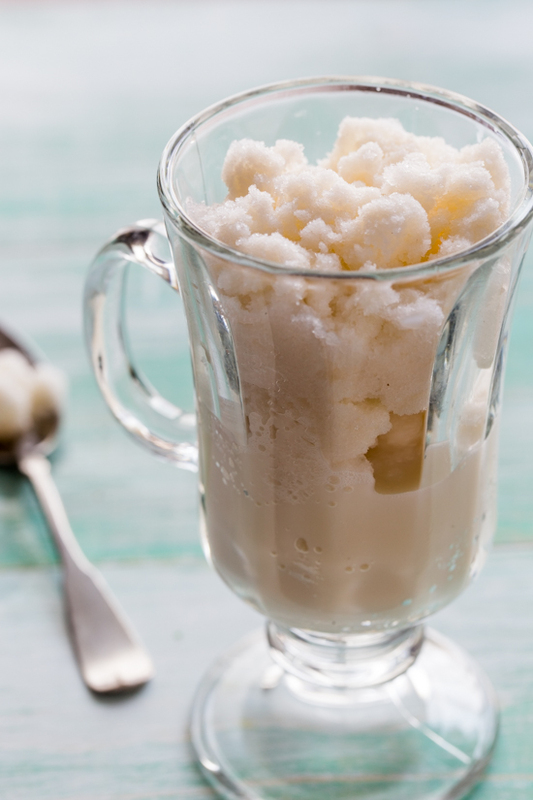 Having lived in Los Angeles for years, snow ice cream wasn’t possible. Now live in Boise where we’re supposed to get a big batch of snow soon … the creamsicle idea sounds fantastic.